A psychological horror game taking strong cinematic inspiration. A 35-year-old woman, Rosemary Reed, visits the home of retired notary, Dr. Felton, who is affected by a disease of mysterious origin. Caring for him is his nurse Ms. Gloria. The dreadful terror begins as Rosemary reveals herself and her intentions, which involves the disappearance of Dr. Felton's daughter Celeste, and how it may involved a covered-up massacre. Dr. Felton and Ms. Gloria maybe the only two who know the truth behind the mystery, as well as a fanatic cult of cloistered nuns in red. Remothered: Tormented Fathers was released on Xbox One 272d ago in the US and the UK. Based on 1 Remothered: Tormented Fathers Xbox One reviews, Remothered: Tormented Fathers gets an average Xbox One review score of 81. The score for all versions is 75 based on a total of 2 reviews. 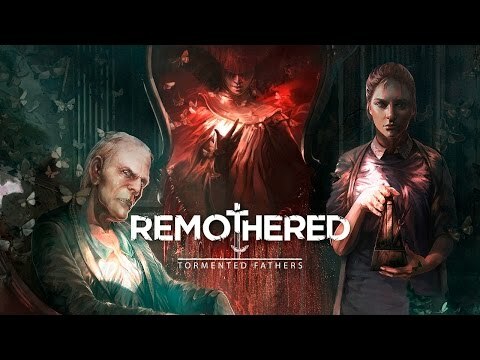 Remothered: Tormented Fathers is a must have for any fan of horror.